One of the key things to having a perfect smile is to have pearly white teeth. But nowadays it’s very easy to get stained yellow teeth due to the consumption of soda, tobacco, caffeine, etc. Everyone is always looking for ways to have a whiter smile, but if your anything like me going to the dentist can be a hassle. After going to the dentist and getting my teeth whitened for the first I realized that my teeth were way too sensitive for the treatment and I was in so much pain. I then looked up ways to whiten my teeth and tried these remedies out for a week and noticed a huge difference in my teeth. With these at home remedies for getting whiter teeth you will be saving money, avoiding chemicals, and saving you from the pain. 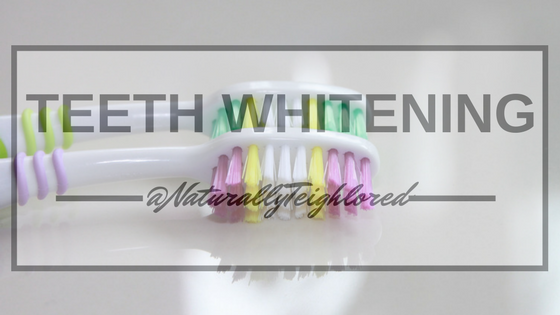 So, if you’re like me and want to try out more natural teeth whitening remedies then here are 6. Turmeric is a natural ingredient that has lots of vitamins and minerals such as calcium and vitamin c, that can help your gums a lot. Despite its bright color, it can also be used to whiten your teeth. Use the recipe below and do once a day to begin your journey to a whiter smile. Take toothbrush and dip into the paste and brush your teeth for a few minutes. Do this once a day for amazing results. Wet your toothbrush and apply the baking soda. The baking soda will gently polish your teeth while lightening the stains. Do this no more than once a week to avoid damaging your enamel. This remedy is my favorite because it’s not so messy and less harsh than some of the others. Adding hydrogen peroxide to your natural toothpaste can not only whiten your teeth but it will also freshen your breath. Do this remedy no more than once a week to avoid damaging your teeth. Just like turmeric, strawberries have a bright color, but because strawberries contain malic acid it can be great for getting rid of stains. Mash a couple of strawberries plus baking soda and apply to your teeth. Let this mixture sit on your teeth for about five minutes, then rinse completely. Only do this at the most once a month because the malic acid can weaken the enamel. Oil pulling is where you take an oil such as coconut oil and swish it around your mouth for like 20 minutes, then spit it into a trash can and then brush your teeth as normal. Oil pulling is a great remedy for not only whitening teeth but it can also strengthen your gums. Previous Post: How to Use Amazing Natural Remedies to Get Rid of Ingrown Hairs.